Enjoy a leisurely, informative and fun tour of the best landmarks & activities in Queenstown. See brave bungy jumpers leaping into the void, taste fine wines a hop skip and a jump away from a famous Lord Of The Rings film location and explore the shops and cafes in charming Arrowtown. There’s so much to do in beautiful Queenstown it’s hard to fit everything in. Queenstown Highlights makes sightseeing easy. We’ve chosen 5 must-see locations and activities which everyone should experience whilst in Queenstown. From the dramatic scenery of Lake Wakatipu and the Remarkable Mountains to the adrenalin pumping action of bungy jumping, you’ll see the best. 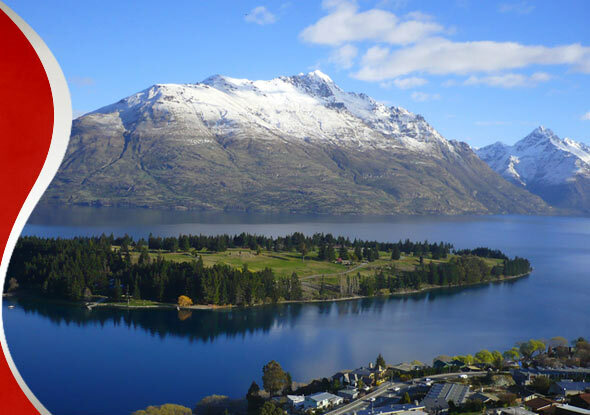 And just what is on the list…..
Queenstown Hill View point: Get the camera ready for stunning views of Lake Wakatipu, the Remarkables and Bob’s Peak. 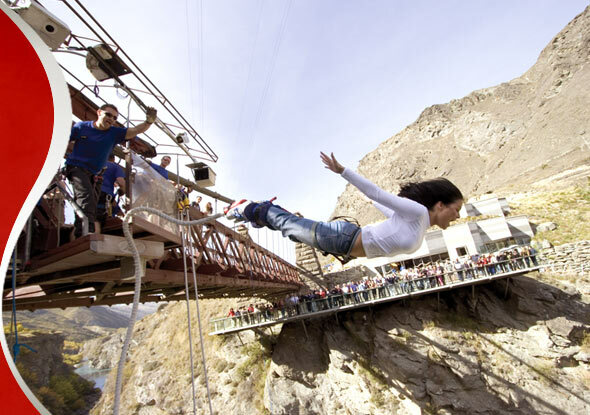 AJ Hackett Bungy Bridge: Experience the thrill of bungy either as a watcher or maybe even a jumper. (To jump see Combo Option). Gibbston Valley Winery: Taste a selection of locally produced fine wines, including the celebrated Pinot Noir at this award winning winery. Lord of the Rings Film Location: Keep that camera handy. The famous Pillars of the Kings scene was shot here and the views are spectacular. Arrowtown: There’s gold in them hills! 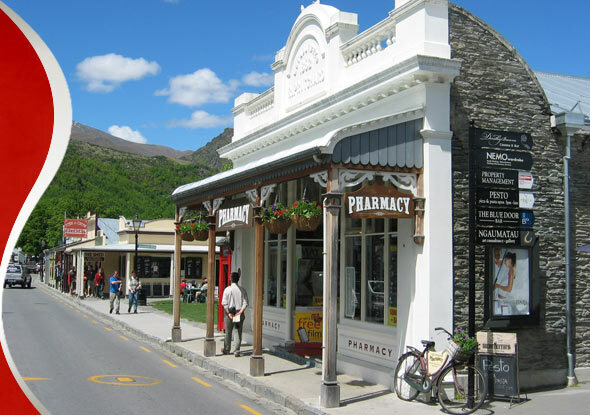 Rich in colonial architecture but with modern boutiques and quirky shopping Arrowtown is a real treat. Enjoy the Lakes District Museum or Chinese Miners’ Settlement.